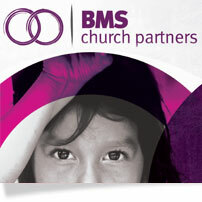 We support BMS World Mission, a Christian mission organisation working in around 35 countries on four continents. BMS personnel are mainly involved in church planting, development, disaster relief, education, health, and media and advocacy. Through the BMS Church Partner scheme, we are now linked to four different mission workers: David & Ann Macfarlane in Italy; Abi & Alastair Currie preparing to go out to Bangladesh; Caroline & Victor in Guinea; and Sarah McArthur in Peru. Ann and David are working with BMS World Mission in Italy. Before going to Italy, David, a minister, worked as a social worker. He and Ann first went to Italy in 1993 and lived in Perugia, concentrating on language study. In autumn 1994 they moved to Altamura where they were involved in church work as well as continuing their language learning. In the summer of 1996, they moved to Barletta where David became pastor of the local church and was also responsible for co-ordinating the youth work in the regions of Puglia and Basilicata. In 2001 David also became the pastor of the church in Santeramo. In the autumn of 2009 they moved to a new ministry in Reggio Calabria. They have three grown-up children and five grandchildren. They both like music (David plays the guitar) and swimming. David also enjoys football and Ann reading. Their home church is Falkirk Baptist Church. 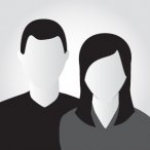 David and Ann’s latest newsletter can be found here. Once they have completed their training, Abi and Ally will be moving to Bangladesh later in 2015. Ally will be seconded to a partner organisation. He will be using his engineering and team leadership skills in a local business, whilst Abi will be using her knowledge of communication development to impact their community. Ally is a mechanical engineer and Abi has worked for over nine years as a specialist speech and language therapist for children with additional support needs. 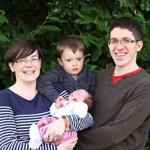 Abi and Ally met at university in Edinburgh and are married with a three year old son, Lachlan, and new baby, Bethia. Caroline is a trained nurse and was training as a nurse anaesthetist in Germany before starting mission work in 2004 on the Mercy Ships, involved in the discipleship training school. Victor is a trained motor mechanic and a body shop estimator. He served with YWAM and then Mercy Ships. Victor and Caroline met on the Mercy Ship in 2006 and married on 14 February 2009. After training, they moved to Guinea in 2011 to work with a development project. Having completed three years in Haiti, they relocated back to Guinea and are currently involved with helping to develop self-help groups. Sarah moved to Peru in January 2014 after a period of training at IMC. Sarah will be joining other BMS workers in Nauta, in the Amazon forest, helping to train pastors and the local community in creation care and sustainable agricultural methodology such as plant propagation. 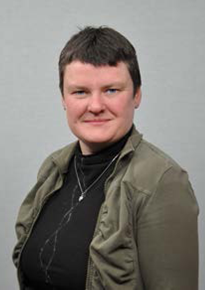 She may also be involved in youth work through the local church. You can read Sarah’s newsletters here, and her blog here.